Is your foot always itchy, especially at night? This may make you uncomfortable and even disturb your sleep regularly. But why is your foot always itchy? Itchy feet may be caused by eczema, athlete’s foot, scabies, dry skin, dermatitis or some serious diseases. This condition can cause redness, swelling, and itching of the skin. You may not help but a scratch, which will aggravate the condition and cause bleeding and infection. Fortunately, there are many home remedies that can reduce symptoms. But first, you need to know why it happened first. How to prevent itchy feet? Itchy feet at night can often be annoying, especially when you are trying to fall asleep! Many people do not know why itching is more severe at night than during the day. In fact, this is due to the natural mechanism of the body. At night, the blood flowing to your skin will increase. This will increase your skin temperature and make you feel itchy. At the same time, the body releases more cytokines which will increase inflammation. Also, your skin will lose more moisture in the evening and lead to dry skin. In addition, work and other activities during the day can distract you and make the brains do not notice itch at all. At night, distraction is less, which will lead to more intense itchy feet. In addition to the natural causes of physical mechanisms, there are many factors that cause your feet to itch all the time. The athlete’s foot, also known as tinea pedis, is a common fungal infection that occurs on the bottom of the feet or between the toes. It is the most common cause of itching of the itchy feet, especially at night. Don’t just look at the name，the athlete’s feet do not just happen to athletes. In fact, everyone may experience this condition. Athlete’s foot usually occurs in dark, moist environments such as closed shoes and socks. This provides a perfect environment for the growth of fungi. In addition, dressing rooms, swimming pools, and showers are also places that are vulnerable to tinea pedis. The athlete’s foot is contagious and usually be spread by sharing towels and unclean pedicure devices. It may cause the skin to become red, swollen, itchy, tingling, burning, and feels like “foot on fire.” In addition, moist, raw skin, scales, and rashes may appear between the toes. To get rid of the athlete’s foot, you can use a topical antifungal medication. However, prevention is always the best treatment. For example, use antibacterial soap every day to wash your feet. After bathing or bathing, wipe off as soon as possible. Wear breathable shoes and change your socks often, especially after exercise. Avoid using the shower shoes in the public showers. Eczema is not a specific health condition and it is often a response to other diseases. This is a common cause of itchy feet at night. There are many different types of eczema that can occur anywhere in the body. One is called dyshidrotic dermatitis, which usually affects only the hands and feet. Dyshidrotic dermatitis can cause a rash, itching, redness, scaly skin on the feet. You can notice elevated plaque, blisters filled with clear liquid, with usually last 2-4 weeks. Dyshidrotic dermatitis is generally caused by a wet environment. In addition, other factors such as seasonal allergies, exposure to chemicals and long-term stress can also cause dyshidrotic eczema. For mild eczema, the ointment can be used to relieve itching. For severe eczema, you may need to see a doctor to eliminate inflammation by using steroids, antihistamines, and antibiotics. Did you ever experience redness, itching, and irritation on the skin after using a new product or detergent? This may be the symptom of contact dermatitis. Contact dermatitis is often caused by exposure to irritating toxic substances or an allergic reaction to certain substances. These substances include soaps, cosmetics, latex gloves, perfumes, jewelry, poison oak, poison ivy and chemicals found in footwear. Contact dermatitis can cause extreme itching, swelling, burning, redness, rash, and dry scaly skin. In addition, you may also notice watery or crusted blisters. Fortunately, most contact dermatitis is not serious and not contagious, but it can be very uncomfortable. The best way to treat contact dermatitis is to avoid the substance that caused it. 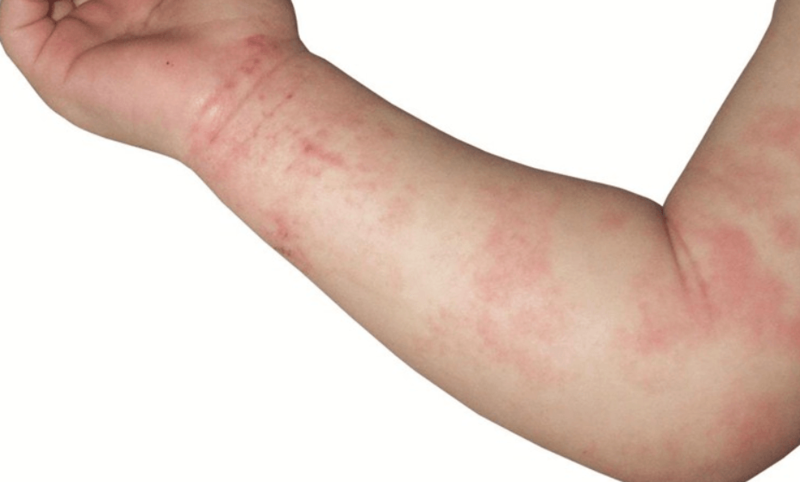 In this situation, the rash usually disappears within 2 to 4 weeks. You can clean your feet skin with mild soap to remove irritants and apply a cool compress to the affected area. Last, apply Vaseline to soothe the area. You can also use anti-itch treatments such as calamine lotion or hydrocortisone cream to relieve the symptoms. However, if the rash is very large, you need to see a doctor for treatment with oral antihistamine drug to reduce the allergic response. Psoriasis is a common chronic skin disease that occurs when skin cells grow too fast on the surface of the skin. This condition can cause skin cells to accumulate on the skin and form red patches or bumps filled with silver scales. You may feel burning, swelling, stiff joints and itchy soles of feet at night. Psoriasis usually causes severe itching of the soles of the feet and soreness of the affected area. You may also notice pitted, ridged or thickened feet nails. The cause of psoriasis is not known yet, but many studies have shown it is related to infections, colds, stress, and problems of the immune system. A common method of treating psoriasis is to use topical ointment, phototherapy, and drugs to prevent the rapid growth of skin cells. In addition, you can also change your lifestyle to reduce symptoms such as moisturizing, quitting smoking and reducing stress. Scabies is a contagious skin infection caused by mites. The mites will burrow deep into the skin and lay eggs. This will lead to severe skin itching and red rash. The itching sensation usually worsens at night. In addition, severe skin itching can lead to frequent scratches, which can aggravate the skin infections. In severe cases, you will notice small blisters and tiny Grayish-white burrow tracks on the skin. This symptom is more common in children, it usually appears on the palms, the neck, the scalp, the face and the soles of the feet. In adults, Scabies usually appear between the breasts, armpits, elbows, wrists, fingers, and toes. Scabies is a highly contagious skin disease that can spread rapidly through direct skin-to-skin contact. In addition, sexual contact can also lead to the spread of scabies. To treat scabies, you can only by killing worms and eggs with drugs such as acaricides and other products. Home remedies or over-the-counter remedies are basically ineffective at eliminating scions. Dry skin is a very common condition, especially during the cold winter months. People with diabetes, low immunity or a history of eczema are more likely to suffer from this condition. Although this is not a dangerous condition, it can make you uncomfortable. Dry skin can cause redness, dryness, itching, cracks, and even bleed. You may be uncontrollable to scratch, which may cause the skin to become thicker and darker. At the same time, it may cause a lot of complications such as skin rashes, eczema, and bacterial infections. The common cause of the dry skin of the feet is unsuitable shoes and other diseases such as athlete’s foot, psoriasis, diabetes, thyroid disease etc. Usually, you can relieve the itching by using topical corticosteroids and creams. Lotions often contain alcohol which will worsen the dry skin. In addition, you can try some home remedies to prevent dry skin, such as choosing more comfortable shoes, exfoliating with pumice stone and applying moisturizer. Sometimes, the itching of the feet, legs, or ankles may be a sign of diabetes, especially if there are other symptoms of diabetes. Moreover, some complications of diabetes such as nerve damage or kidney disease can also cause itching of the arms, legs, and feet. Long-term high blood sugar can lead to redness and small yellow bumps on the skin. 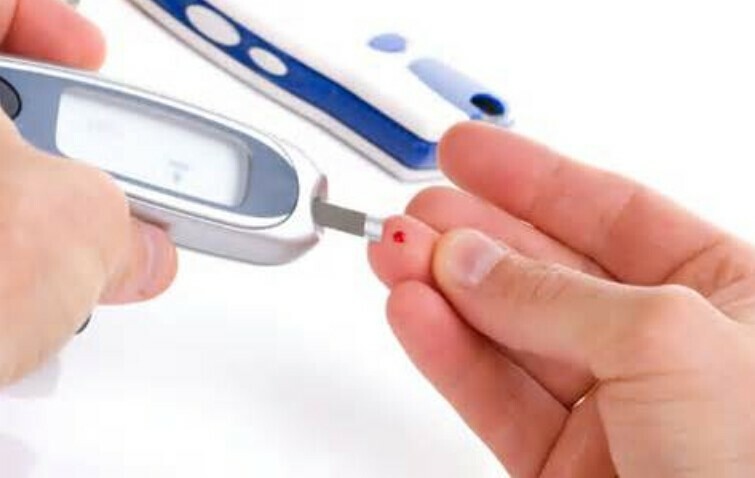 Other symptoms of diabetes include frequent urination, extreme hunger, blurred vision, skin infections, and unexplained weight loss. Insulin is the main treatment for controlling blood sugar. In addition, you can use diet and exercise methods to get rid of the itching caused by diabetes. In warm weather, many people like to wear shorts and sandals, which will expose the skin of the feet and ankles to insects. Bugs such as ants, bees, mosquitoes, wasps, spiders, and fleas can cause bites and stings. Bug bites can cause skin redness, rash, muscle pain, swelling, itching, blisters on the skin of the feet or legs. Most bug bites or stings cause only minor discomfort, but some encounters can be fatal, especially if you are allergic to insect venom. In addition, many insect bites can also spread the disease. Prevention is the best treatment. Try to avoid perfumes or scented lotions. Wear socks to protect the skin on the feet. A slight bite can be treated at home. Wash the affected area and apply an ice pack or baking soda to relieve pain and swelling. Apply topical antipruritic cream or oral pain reliever to relieve symptoms. If severe reactions occur, such as nausea, vomiting, difficulty breathing, rapid heartbeat, and confusion, you need to seek immediate medical attention. Using baking soda paste on itchy feet can effectively relieve itching and burns sensations between toes or on your feet. Moreover, it can treat fungal infections and reduce the unpleasant smell on the feet. 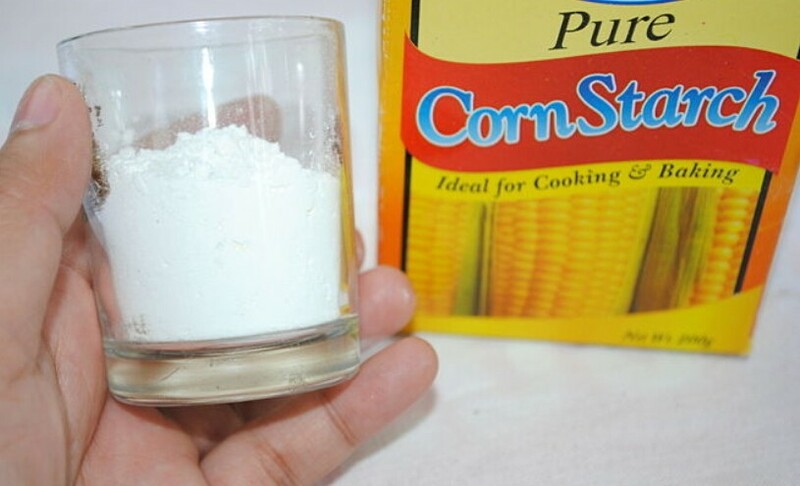 Add 1 tablespoon baking soda to 2-3 tablespoons of water and stir to make a paste. Apply it on your feet, especially in the gap between your toes. Wait for 5 to 10 minutes and rinse with cold water. Dry your feet thoroughly with a soft towel and then apply powder to absorb moisture. Soaking your feet with saline is another effective method to get rid of itchy feet. a saltwater soak can help soothe your feet and relieve pain, itching or irritation. Add 2 teaspoons of salt to a pint of warm water in the bathtub. Mix well and soak your feet in the water for 5 to 10 minutes. Make sure the water is enough that can cover the top of your feet. Repeat this process several times your itching improves. Then rinse your feet with cold water and apply a moisturizer. Tea tree oil, distilled from the leaves of Melaleuca alternifolia, is an effective preservative to cure athlete’s foot. It has been used to treat cuts, burns, and infections in Australia for many years. The study found 10% tea tree oil cream can effectively relieve the symptoms of athlete’s foot such as inflammation, scaling, itching, and burning. In addition, tea tree oil was significantly more effective than placebo in the treatment of athlete’s foot. Remember do not apply tea tree oil directly to your feet before consulting a doctor. This essential oil is so powerful that will cause side effects such as redness, rash, blistering, and burning sensation. You can use the same amount of olive oil to dilute, and olive oil can also help tenderize the skin on the feet and make tea tree oil absorb better. Garlic has a compound called ejiao that has antifungal and anti-microbial properties. It can help relieve infection, itching, and pain. Crush one garlic clove and add 2 to 3 drops of olive oil. Mix well to make a paste and apply it directly on the feet. Leave it on for 20-30 minutes and wash off with water. Finally, don’t forget to dry your skin and apply a moisturizer. You can also crush some cloves into the water, then soak your feet for about 30 minutes. Repeat this process 1-2 times a day, which can treat infections and prevent the recurrence. In addition, you can also add garlic to your diet. This can help improve your immunity and accelerate the healing process of fungal infections. The acid in vinegar can help fight the fungus and inhibits skin infections. Also, vinegar can also help dry your feet, which can speeds up your healing process. To get athlete’s feet, mix vinegar and warm water in a ratio of 1 to 3 and soak your feet. Do this twice a day for about 10 minutes each time. You can also apply the mixture to the affected area with a cotton. Leave it on for about 10 minutes and then rinse with cool water. In addition, you can use this mixture to wipe down the inside of the shoe to eliminate the fungus. Yogurt contains probiotics, which can help fight fungal infections like athlete’s foot. To get rid of the Itchy feet, you can apply the yogurt directly to the skin. Then let it dry and rinse with lukewarm water. In addition, you can also eat a cup of plain yogurt every day. This can help improve your digestive function and enhance immunity. Remember to use plain yogurt, not yogurt with added ingredients. After showering, dry your feet thoroughly, especially between your toes. Avoid putting on shoes and socks when your feet are wet, you can use a hair dryer to dry your feet. Wash your feet daily with mild anti-fungal soap and apply moisturizer after drying. Choose well-ventilated shoes, such as shoes with mesh holes, which can help your feet breathe. Avoid wearing slippers on the shared shower or gym floor. Wear slippers in gyms, health clubs or swimming pools, because many people walk barefoot in these places. Wearing clean cotton or socks made of natural fibers, which can fully absorb the sweat from their feet. If your feet are heavily sweaty, you need to change different shoes every day. If you have athlete’s foot, you can use anti-fungal powder on the feet or wipe the inside of the shoes to eliminate the fungus.